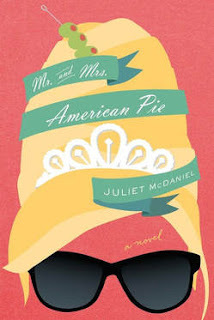 Juliet McDaniel is the author of the new novel Mr. and Mrs. American Pie. She also wrote the screenplay for the film QWERTY. 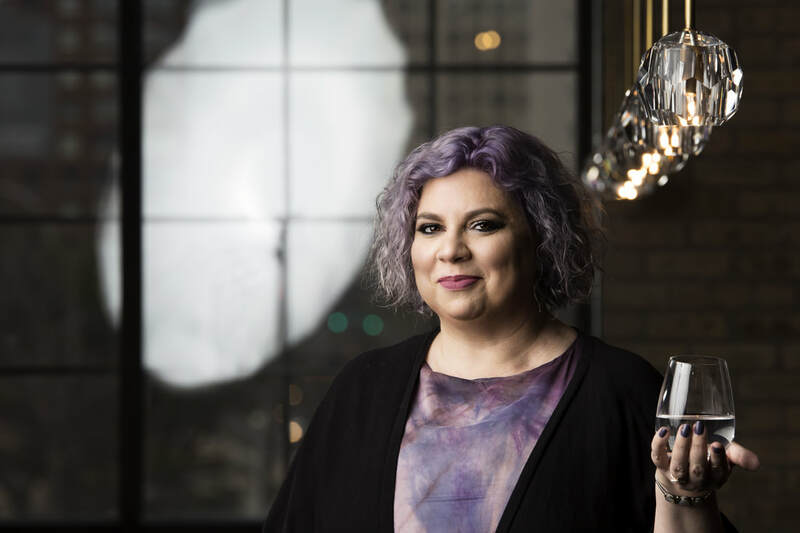 She is based in Chicago. Q: How did you come up with the idea for Mr. and Mrs. American Pie, and for your character Maxine? A: My late grandmother, Marcella Higgins, was Mrs. Minnesota 1957, so I’ve always had a fascination with beauty pageants – especially those for wives and mothers. The Mrs. America pageant wasn’t all that different than how I’ve depicted the fictional Mrs. American Pie pageant in the book. Women were judged on how well their sewing, ironing, cooking, and cleaning skills, plus they were expected to look gorgeous for all of it. Coming of age in the 1980s, this pageant felt utterly alien to me. I still think the pageants are awful, yet at the same time what wife and mom doesn’t deserve an award? I am very happy to say that my real-life beauty queen granny bares zero resemblance to my drama queen protagonist. Maxine is the woman I often wish I could be when I’m stuck in an uncomfortable or nerve-wracking situation. She’s brash, clever, and always has a stinging comeback for her foes. She’s Dynasty’s Alexis Carrington with the brains of Dorothy Parker and a heart that’s somewhere around 14K gold. Eventually, her larger-than-life façade gives way and we get to see the real, rather broken woman underneath it all. Q: Why did you decide to set the novel in 1969-1970? A: I started writing the book in late 2015 when it seemed like there was a good chance that America was getting our first female president. I was seeing all these op-eds and hearing all this talk about how far women have come, and sexism being vanquished. Aside from knowing none of that was true, there’s something about getting too comfortable that makes me fearful. After President Obama was elected, we had all the same conversations about being “post-racial,” and yet that obviously wasn’t the case. There’s still rampant racism in America, and sexism is right there, too. I think it’s essential for us to not forget how far we’ve progressed, while at the same time acknowledge there’s still much work to do. I wanted to set the book in 1969-1970 to show where we were then, and to illustrate how many of the same problems exist today. The day-to-day sexism that Maxine and her fellow pageant queens deal with is still prevalent. On a lighter note, I also just plain love the late ‘60s/early ‘70s. The pop culture was all over the place. You could turn on the radio and hear a Glen Campbell country song played back-to-back with something heavy by the Guess Who and the funk of Sly and the Family Stone. Television was everywhere and while today we have reality TV, back then we had the hyperactive showmanship of variety shows. The fashion was equally bright and crazy. I love all of it, but thanks to my degree in American Studies, I also firmly believe that our pop culture is a reflection of who we are as a people. To me, the pop culture of 1970 says that we were a people grappling to figure out a slew of social change and unrest. A: I did a ton of research for the book. Newspaper archives were hugely important sources for me since they do a good job of showing what daily life was like in a specific moment in time. I could see how much a bottle of whiskey cost or what was on sale at J.C. Penney’s thanks to the ads in the paper. The women’s pages were incredible since those were sections written specifically by women and for women, whereas the rest of the paper was all from the perspective of men. I found one article from 1969 where women were debating using Mrs. or Ms. after marriage. The article felt nearly identical to one I read in a present-day women’s magazine. The biggest sense I got from reading all these newspapers and magazines is that 1969-1970 was a real turning point for the country. All the peace, love, and progress from the 1960s wasn’t panning out as much as we’d hoped for. We were still in a hugely unpopular war in Vietnam, women – especially women of color – were facing incredible discrimination, and the LGBTQ rights movement was in its infancy. The whole world felt like it was in an unnerving state of flux. I didn’t realize it when I started writing the book, but to me at least, that’s the same feeling I have today. I think our nation is at another turning point when it comes to our struggle for equality for all. Q: Did you know how the novel would end before you started writing it, or did you make changes along the way? A: I knew how I wanted the story to end from the moment I began writing it. That never changed. 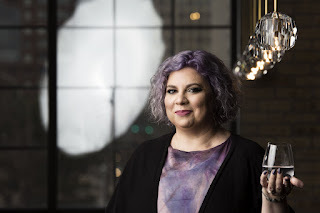 What was extremely tricky – at least for me as a first-time novelist – was figuring out how to get my characters there. The plot points weren’t too difficult. The big struggle for me was adapting my thinking from that of a screenwriter to that of a novelist. In a screenplay, the writer needs to provide moments that allow the actors to bring depth to their characters. In a novel, it’s 100 percent the responsibility to bring the reader right inside the heads of the characters. All I can say is that I was lucky enough to have two of the best, most patient and kind editors around in Adam Gomolin and Matt Harry. A: The novel was acquired by Platform One and Jaywalker Pictures (headed by actor Laura Dern) and I’m beyond thrilled to say that I’m adapting the book for them as a television series. And in the spare time I have almost none of, I’m working on another book. This one is set in present day and while I don’t want to say too much yet, it’s sort of 9 to 5 meets Rosemary’s Baby, and loosely based on a true story.